Preparing for General Data Protection Regulation (GDPR) compliance requires people, process and technology. Optiv has the proven ability to look at a client’s security and privacy program holistically. 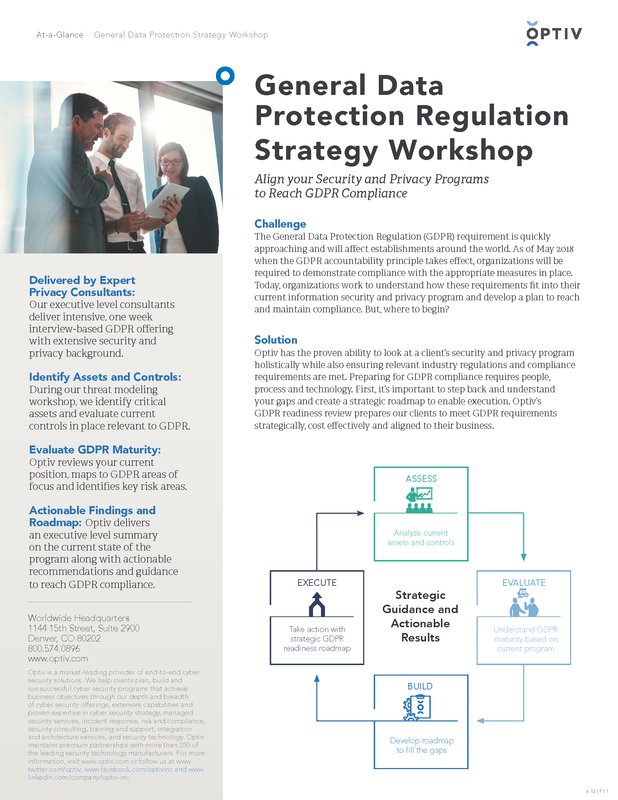 Optiv’s Strategy Workshop helps to define your GDPR requirements, how those requirements fit into your current information security and privacy program and develop a plan reach and maintain compliance.